A north-east MP has claimed there is too much “scaremongering” over Brexit after oil and gas leaders warned that North Sea platforms could be shut down. 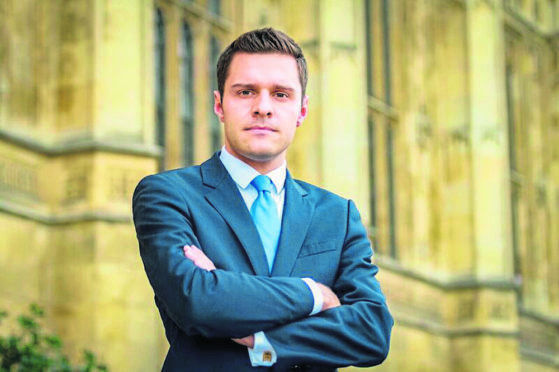 Brexit-backing Ross Thomson insisted last night that quitting the EU without a deal would “really not be the end of the world”. He was speaking after trade body Oil and Gas UK’s 2018 economic report warned that plans to leave the EU could cause a “skills shortage” for vital North Sea services such as Emergency Response and Rescue Vehicles (ERRVs). It also highlighted implications for movement of critical equipment and for growing the UK’s share of the global oilfield services market. But Mr Thomson, Scottish Conservative MP for Aberdeen South, played down the consequences. “We all want to see a positive Brexit deal struck with the EU and both sides are working towards that outcome,” he said. “It is not in anyone’s interest for the negotiations to fail. “However, there has been far too much scaremongering about what a ‘no deal’ outcome would look like. It really would not be the end of the world.